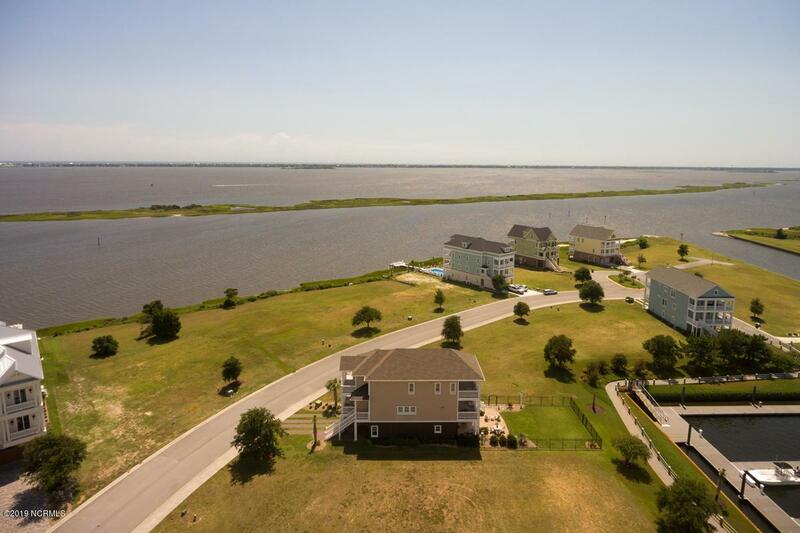 Two Sound Front Homesites & Boat Slip! Sound living at its best in Cannonsgate on Bogue Sound when you build your home on one homesite and hold/sell the other as investment, or build your Charleston-style home on an 80-foot wide double lot. Located close to the 75-slip marina where you have your own 40-foot boat slip! Platforms to water edge allowed so you can feel the breezes and see the delights of the sound close up but every day you will enjoy fabulous views on the Intracoastal Waterway. Cannonsgate offers boat ramp, sound front pier, Manor House & pool, tennis courts & walking trails. Located conveniently between Morehead City and Swansboro, near beaches & military bases of Camp LeJeune & Cherry Point. Listing provided courtesy of Alison Jaeger of Bluewater Real Estate Ei.